Since 1944, TAMKO has been a proud provider of quality, innovative building products throughout the country. With headquarters in Joplin, MO, TAMKO is the perfect roofing material option for Kansas City Area residents looking for a roof engineered to last and thrive in the Midwest. Emerson Enterprises is a proud supplier of TAMKO building products, and thanks to their vast array of materials and fashions, we are able to assist you in finding the best addition to help you meet your home’s style and protection needs. With decades of success in the roofing industry, TAMKO provides only the best of the best when it comes to their materials. TAMKO knows that shingles begin to age as soon as they come in contact with nature, which is why they take the extra time and effort to create products that will remain durable and effective, even through the most extreme of Midwest weather patterns. 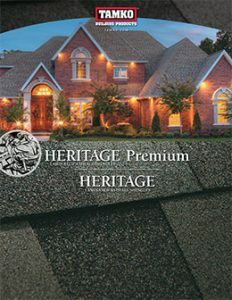 TAMKO shingles are crafted with your unique needs in mind, and perfected with industry leading trends to give your home the protection and curb appeal that it deserves. 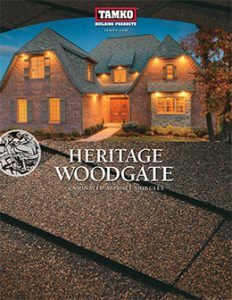 With lines like Heritage Woodgate, Elite Glass Steel, and MetalWorks AstonWood, TAMKO shingles are offered in a number of top grade materials including traditional, slate, and tile. 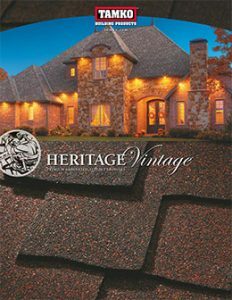 Along with the durability and protection of their lines of shingles, TAMKO offers a wide variety of color options that will set you home up for a lifetime of added value. Complete with options including Earth Tones, Greys, Greens, and even Reds, TAMKO has color choices to fit any home and neighborhood. In addition to creating and providing the highest quality of shingles and other roofing products, TAMKO stands by their name, and offers a limited warranty to help cover the unexpected when it comes to your roof’s lifespan. Trust TAMKO with your roofing needs, and your roof will thank you for the seasons to come.